Because everything in life is made up of energy, everything vibrates. Every person resonates at different frequencies every day. When we vibrate with another being in the same frequency, we experience the feeling of “clicking” with them. They are kindred spirits who take the forms of close friends, confidant, teacher or guide, family member, partner or lover, a pet or even a geographic location. These beings don’t play an essential role in our lives, but meeting them provides comfort, making us feel supported. They share with us the same personality traits, values, tastes, and interests. Our relationship could either be deep or intense in a way that teaches us many things about ourselves and the way we relate with others. 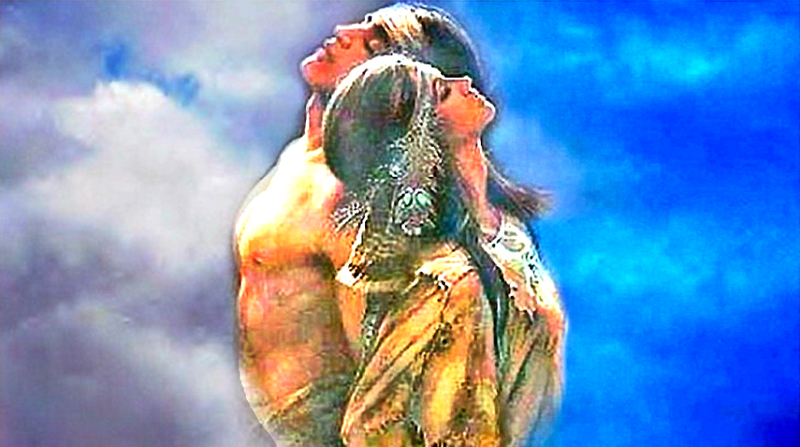 Kindred spirits inspire us to enhance our gifts and potentials. One way of recognizing your kindred spirits is by listening to your intuition that often knows instantly when you’ve established a special connection with someone. Despite your intuition, here are the most common signs that show you resonate with a kindred spirit. You have many things in common, such as sharing the same political views, religious beliefs, and ethics. There are some differences though, but being in their company gives you an easy life. There is an absence of conflict concerning the things that matter to you both. When some differences arise, it’s not enough to destroy the respect you have with each other. You both trust and understand each other. Because of the support your relationship brings, you often feel encouraged and supported. 3. Being honest with each other. You find it hard to lie with them. Even if the circumstances are difficult, you manage to be honest with each other because your relationship is not only on the surface that accepts only what is good. Being true with them is natural on your part and is never done out of guilt. And the good thing is, even if the truth may appear ugly, your kindred spirits are always willing to support you. 4. Learning from each other. Your relationship is greatly productive as you keep on teaching and learning from each other. They have the capacity to open your eyes to new perspectives and greater objectivity. They act as great mirrors even if the issues are difficult. It is through watching them with openness and compassion that you learn the most. 5. Matching their energy naturally. The strongest sign of a kindred spirit is the feeling that you have known them for an entire lifetime even if you’ve just meet. As you vibrate with the same frequency as they are, finding many similarities between each other is easier. You vibrate at the same spiritual level that creates an impact in your life. You help each other in raising your frequency and a great understanding develops that allows for greater respect, honesty, and ability to learn from each other. 6. Helping each other move forward on your paths. Most often, you and your kindred spirit go through the same adversities in life, which is a part of vibrating at the same frequency. It’s because you attract the very people who have the same need as yours. Thus, they can empathized with what you are going through. Their support is so great that you feel you would be unable to pass the ordeal without them at your side. 7. Enhancing and uplifting each other’s life. You don’t have to hide some aspects of yourself with your kindred spirits. Thus, being with them brings fun and joy. Because they accept you for what you are, you can be your authentic self in their company. Their presence enriches not only your life but your soul as well. You find complementing each other and accomplish things as a team. They could be the visionary and you could be the doer, which makes them great business partners because of a complete trust and well-rounded partnership. 8. Sensing the need of each other. Part of vibrating in the same frequency is when they call you at exactly the same moment you are struggling with something. They have the ability to listen to their intuition and follow it when it comes to you. They will know when you tell them you are fine even when you really aren’t. They lovingly call your attention about it and support you as you process a particular experience. And they do ask the right questions at the right time.